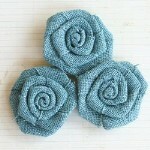 These beautiful decorative roses from Maya Road will make a great addition to your next scrapbooking, papercrafting, sewing, mixed media, or home decor project. 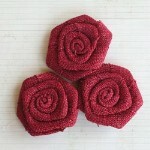 Each one is made from linen burlap and is approximately 2 inches in diameter. 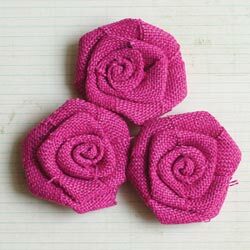 This package contains three roses in the color Fuchsia. Imported.